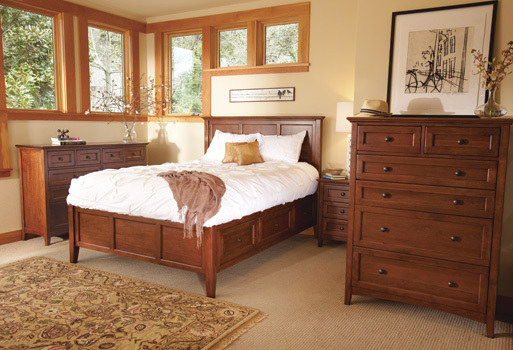 This beautiful storage bed is designed with elegant details making for a striking combination in this collection made from solid American Alder Hardwood. Old world craftsmanship features six English dovetailed drawers, mortise and tenon joinery, full extension glides and fitted backs to ensure strength and stability. Many other case pieces available.